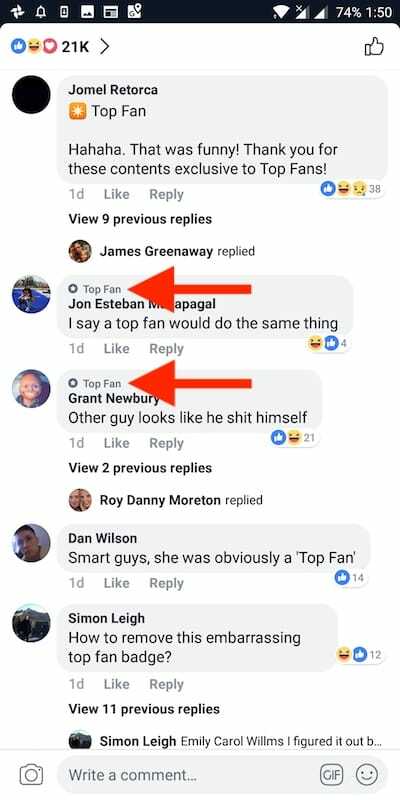 If you’re active on Facebook then you must have noticed the chatter about the top fan badge in Facebook’s comments section. That’s because several people commenting on Facebook pages have got a “Top Fan” badge and are bragging about it. 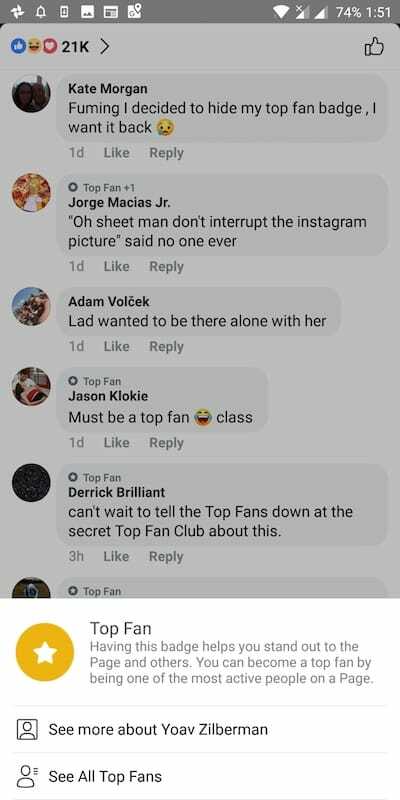 While the rest are posting amusing comments and finding out ways to get the new top fan badge for their profile. 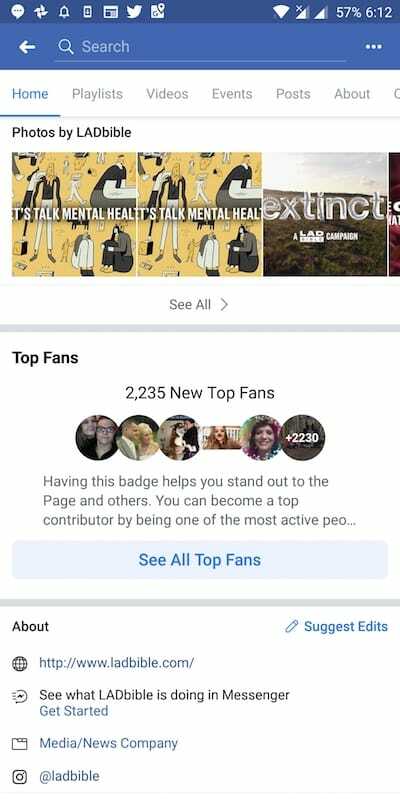 For those unaware, Facebook introduced the top fan badge in the mid of 2018 and it now seems to be live for everyone. What does a Top Fan on Facebook mean? The new badges such as Top Fan, Sharrer, and Valued Commenter are often seen in the post comments of a Facebook page. A top fan badge, for instance, is displayed next to the user profile name along with a star symbol. This badge is Facebook’s way of recognizing the most active users, motivate them and increase the page engagement. It’s a sort of reward or achievement that fans get by interacting the most and staying active on their favourite pages. Moreover, getting a top fan status helps you stand out of all the people following a certain page on Facebook. Top fans also get a satisfactory feeling that their active engagement is being appreciated and giving them exposure. 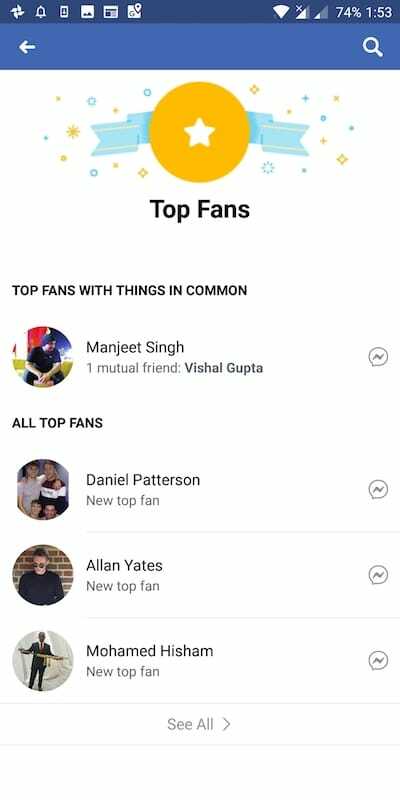 At the same time, it should be noted that the Top fans feature is only available on eligible pages and not on user profiles. 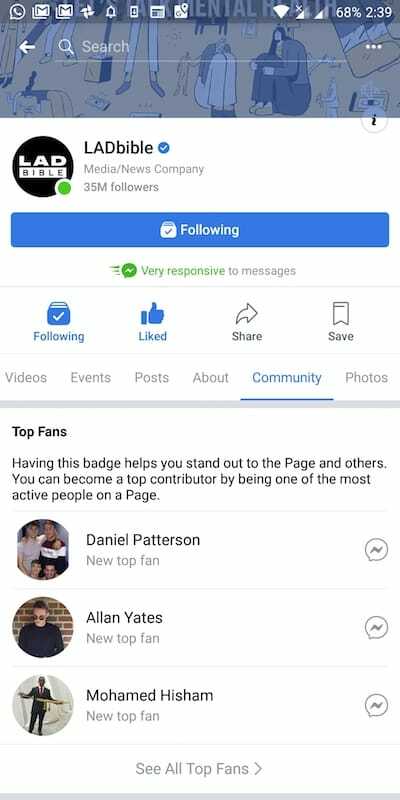 A top fan badge is certainly a great addition for both page admins as well as fans. 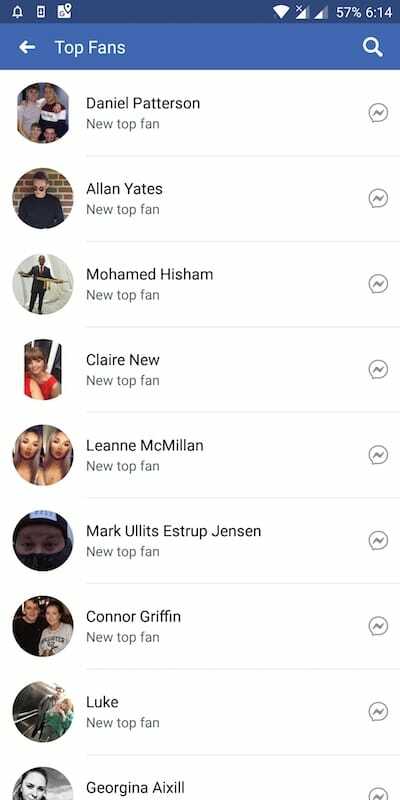 A page admin can also view and track all the top fans on their page and connect with them through Messenger. The admin or page owner also has the right to remove top fan badge for individual fans or simply disable top fan badges for their page. There is no straightforward procedure to be a top fan on Facebook. In fact, it can be tricky to get a top fan badge and the criteria can vary from user to user. According to Facebook, you can become a top fan or top contributor by being one of the most active people on a page. For this, you have to interact a lot with a page by liking or reacting to a post, commenting, sharing and watching the page’s videos. However, doing so alone won’t guarantee your qualification for the top fan badge. For instance, there are users who became a top fan just by liking the posts while those engaging via comments, sharing, etc. haven’t got it. To increase your chances, make sure you’re consistently active on a certain page. The higher the interaction, the more will be the chance to earn the badge. 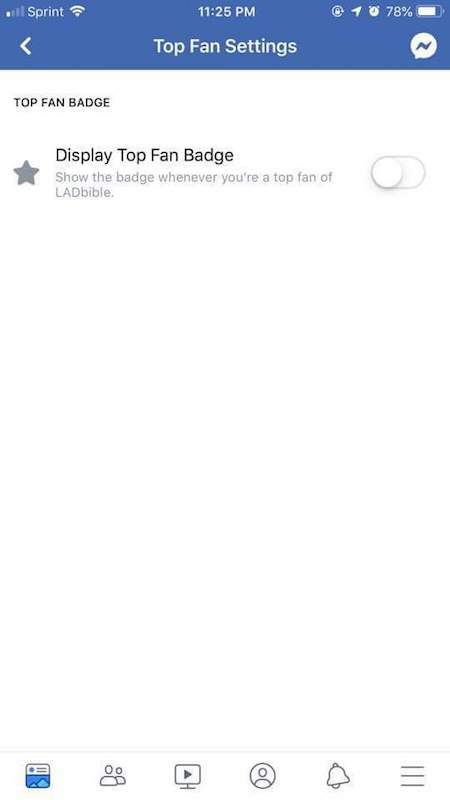 The top fan badge isn’t enabled automatically and Facebook first notifies you about your top fan status. To show the badge next to your name, go to “Top Fan Settings” and turn on the “Display Top Fan Badge” option. After this, the badge will start appearing whenever you interact with the page for which it is enabled. To hide or turn off the top fan badge, visit the Community tab of the particular page and disable it. Have you already got the Top Fan badge? Do let us know. I have gotten the Top Fan Badge for pages that I have liked but never commented in and that I don\’t often visit. For instance the TV Show Lets Make a Deal. I find it very hard to believe Im a top fan and don\’t think I\’ve been there more than twice.